The Federal Communications Commission (FCC) has proposed a hefty fine for a New Jersey truck driver whose alleged use of a GPS jammer caused harmful interference to the new ground-based augmentation system (GBAS) at Newark Liberty International Airport (EWR). In a notice of apparent liability for forfeiture (NAL) issued earlier this month, the FCC concluded that conclude that Gary P. Bojczak is “apparently liable” for a forfeiture amounting to $31,875. According to the NAL, on August 4, 2012, an FCC Enforcement Bureau officer identified a pickup truck driven by Bojczak as a source of interference. It took the FAA and FCC from March 2009 until April 2011 to locate a GPS jammer operated by another trucker on the New Jersey Turnpike, according to a presentation by John Merrill, Department of Homeland Security program manager for position, timing, and navigation, at the 2012 Telcordia-NIST-ATIS Workshop on Synchronization in Telecommunication Systems. But the problem of the inadvertent interference to LAAS systems by GPS jammers or “personal privacy devices” (PPDs) has not gone away. A set of modifications to the EWR LAAS Ground Facility (LGF) software (along with physical changes to the antenna siting and the nearby terrain) have mitigated — but not eliminated —the effects of such events. The Newark GBAS — the U.S. terminology for a local area augmentation system or LAAS — incorporates Honeywell’s SmartPath SLS‐4000 technology. It received operational approval last September. On October 10th, 2012, the first new United Boeing 787 (Dreamliner) made its first GBAS landing system (GLS)‐capable landing at Newark Liberty International Airport. A CBS news report said that Bojczak subsequently lost his job over the incident. According to the FCC NAL, using “direction finding techniques” an agent from the FCC Enforcement Bureau’s New York Office investigating the complaint detected the jamming coming from a pickup truck while driving near the airport. Police officers from Port Authority of New York and New Jersey (Port Authority), which operates the Newark GBAS system, and airport police stopped the truck. Prior to the apprehension of Bojczak, EWR had experienced a couple of long-duration radio frequency interference (RFI) events on Saturdays, according a systems engineer at a company that provides “complex communications signals collection and processing” assistance to federal agencies. The engineer speculated that the source of the RFI was probably not on the New Jersey Turnpike, from which most of the past jamming problem has stemmed, but rather from the airport operating area. He said that the PPD was likely being operated in a no-longer-used parking lot (P7) that now contains a lot of construction material and is adjacent to the LAAS antennas — separated only by an eight-foot tall wire mesh fence. After the jammer was removed from the vehicle and turned off, the agent confirmed that the unauthorized signals had ceased, according to the FCC report. EWR continues to experience regular RFI from PPDs, all transmitting while travelling on the nearby turnpike, about five events per day, mostly Monday to Friday. Only a couple of these events, including the August 2012 incident, have had a significant effect on the GBAS’s availability, according to one source. The FAA has made modifications to the LAAS equipment that appears to have reduced the damaging effects of PPDs travelling the NJT but in this case the RFI source was on airport property and close to the LAAS antennas. Neither the FAA nor the FCC appear to have the capability to catch all of the vehicles with PPDs that drive past the airport. It’s not an easy problem to solve. The agency’s approach has been to warn the public, identify any websites advertising the sale of PPDs, prohibit their importation, and fine anyone selling or using them. Federal law prohibits the operation of jamming devices in the United States and this latest enforcement action reflects the agency’s continuing efforts to prevent such incidences. In February 2011, the FCC Enforcement Bureau issued two enforcement advisories and a downloadable poster on cell phone and GPS jamming that warned consumers, manufacturers, and retailers (including online and Web-only companies) that the marketing, sale, or use of such jamming devices is illegal. In October of the same year, the bureau issued 21 enforcement actions against online retailers in 12 states for illegally marketing more than 215 different models of wireless communications jammers, including nearly 80 types of devices that could jam GPS signals. Several commercial products esigned to identify GNSS jammers have come onto the market over the past year, including the Signal Sentry 1000 from ITT Exelis and Chronos Technology’s handheld CTL3510 GPS Jammer Detector. 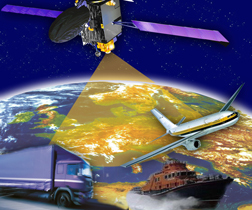 In 2011 the two companies agreed to jointly pursue and develop product offerings for the GNSS interference, detection and mitigation (IDM) market. The proposed $31,875 fine is based on the driver’s alleged violations of Sections 301, 302(b), and 333 of the Communications Act of 1934, and reflect both upward and downward adjustments because of the “disruption caused to sensitive aeronautical navigation equipment designed to protect public safety” on the one hand and “voluntary relinquishment” of the jammer on the other. Bojczak could have faced a maximum forfeiture of $112,500, according to the agency.